Every other Thursday night starting on 05/20/10. Random draw doubles, two rounds. $5 per man, winning team takes all. Description: Short and sweet. 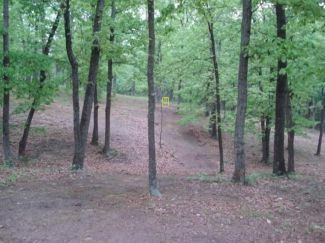 Mostly wooded course with good use of natural obstacles. Good variety of shots and use of terrain. Dirt tees with landscaping timbers, signage.